Sneak peek for this Friday’s show: Wednesday morning, we taped a half-hour interview with Gov. C.L. “Butch” Otter, in which we discuss transportation, education, appointments and more. After the governor took off his microphone and walked off the set, he was handed a stack of bills that had to be signed before 10:30 a.m. He took a pen out of his jacket and started going through the bills on a table in the Idaho Public Television production lobby. 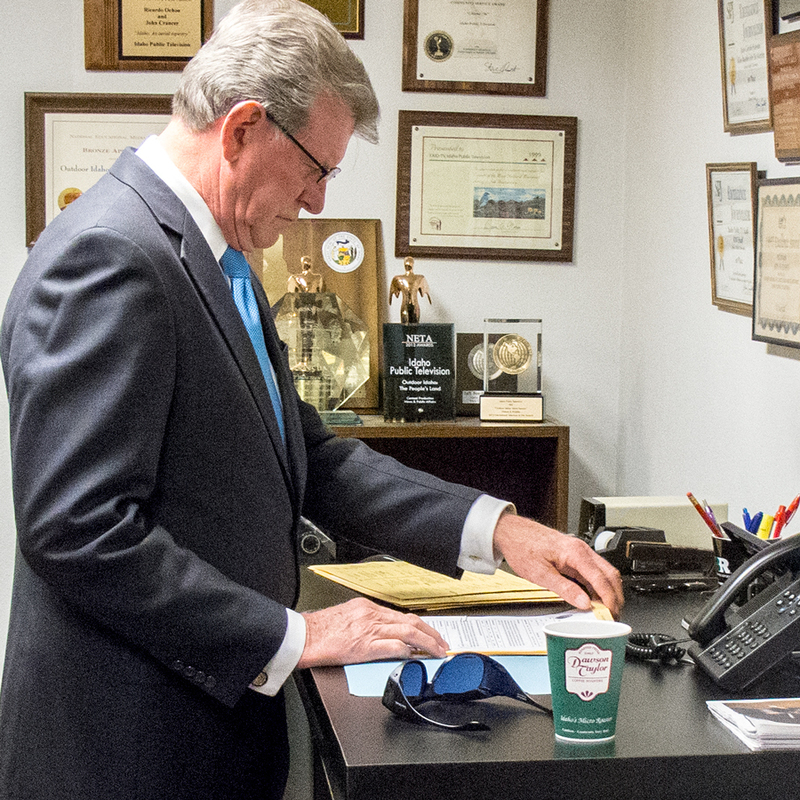 As he looked over the legislation, I asked if he’d let any bills become law without his signature so far this year. Yes, he said: The tax exemption for prescription glasses and contact lenses, which passed the legislature last week. Otter said he struggled with the bill. Currently, glasses and contact lenses are the only medical devices that are taxed, but he was concerned about state revenues. “I don’t want to lose $2.8 million out of the general fund, but on the other hand, how fair is that?” Otter said. For our interview, make sure to watch Idaho Reports on Friday, 8 pm MST/7 pm PST. but he is ok with throwing 60 million away and how much on the prisions???? ?